When you develop your Pagekit website and make changes to it, you will want to see the immediate effect of those changes. However, most of the time, the cache of the application will prevent you from doing that. To solve this problem you will need to clear the cache of your Pagekit based website. 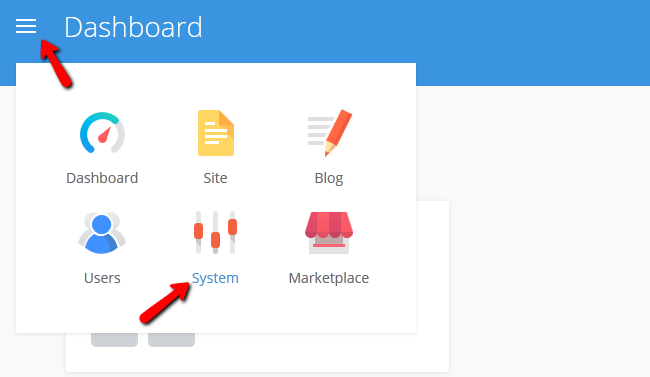 To clear the cache on your website, you will first need to log in the admin dashboard and select the System menu. Now navigate to the Settings>Cache section of this panel. At the bottom of the options you will find the Clear Cache button. 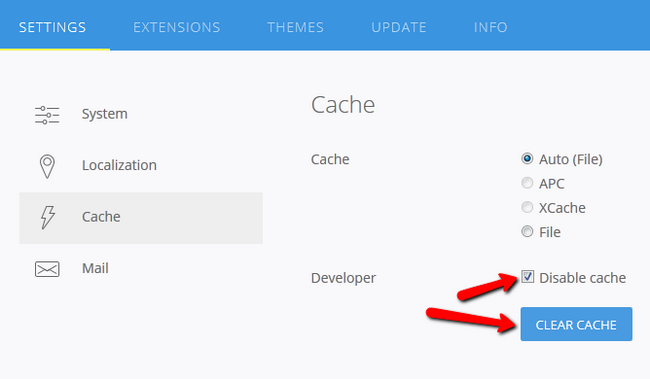 Click it if you wish to remove all cache and/or temporary theme files.